My tastebuds were subjected to torture here for no fault of theirs – a culinary disaster that all Indian foodies shud avoid. 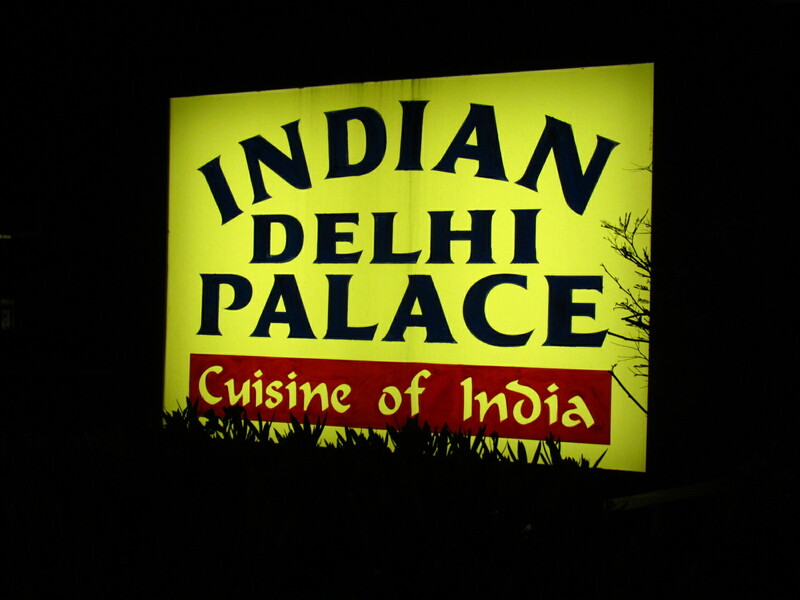 Went with a bunch of friends to this place as some of them wanted to have Indian Vegetarian food in Phoenix – They were bored with American / European Vegetarian food. We had a great time – chatting & laughing away at jokes. My tastebuds however underwent a torture session. 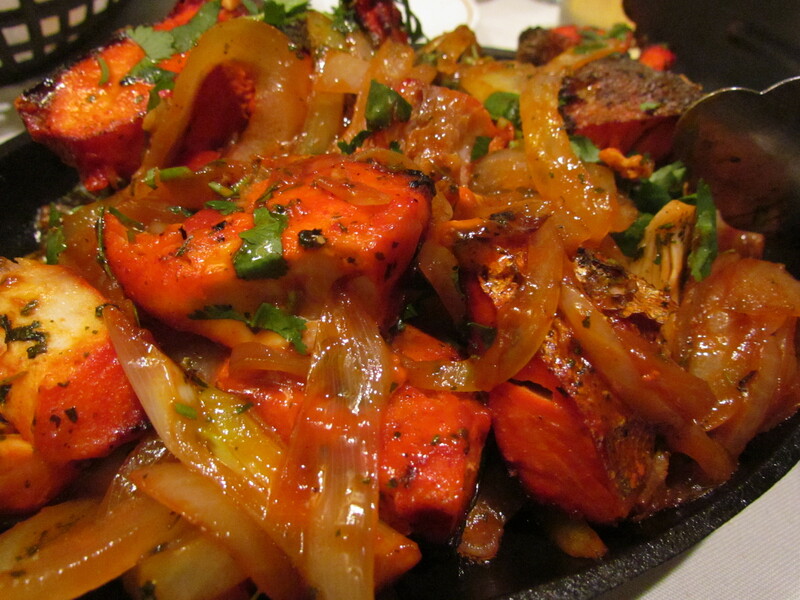 Not that I did not expect that – my experience with Indian food abroad has been quite bad so far. The food at this Restaurant reinforced the fact that it is as difficult to find a good Indian Restaurant in the US as much as it is difficult to find an Ostrich roaming around in the crowded Chandni Chowk market of Delhi on a hot saturday afternoon!!!!! However, the American guests seated in other tables seemed to be liking the food. 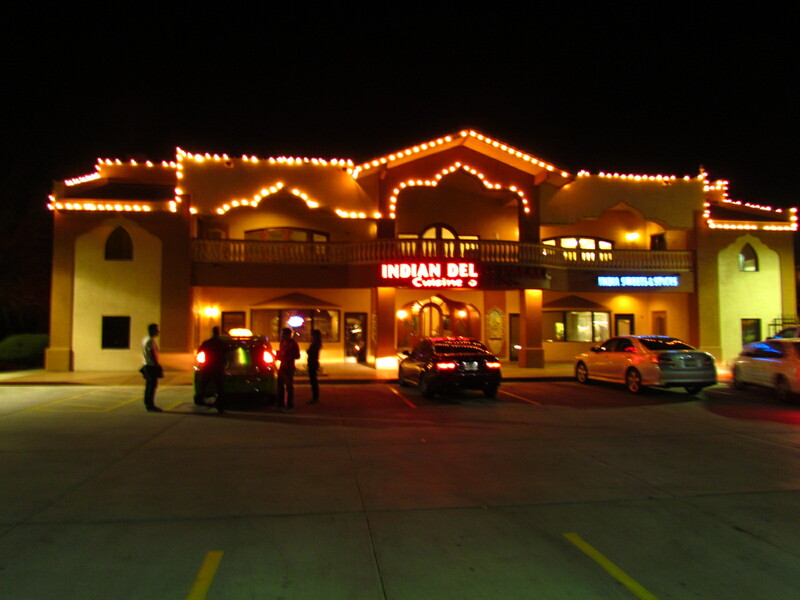 The facade of the Restaurant – Half the lights that pronounce the name of the Restaurant do not work. Logo on the signboard outside & the one on the building is different!!!!. The inside is old, looks Indian & reminds one of those numerous eateries in Pandara Road, Delhi. A lady, I guess someone important in the Restaurant, was herself taking the orders & supervising the serving staff. She was as good a host as one cud expect in any eatery anywhere. As mentioned above, food was a disaster. 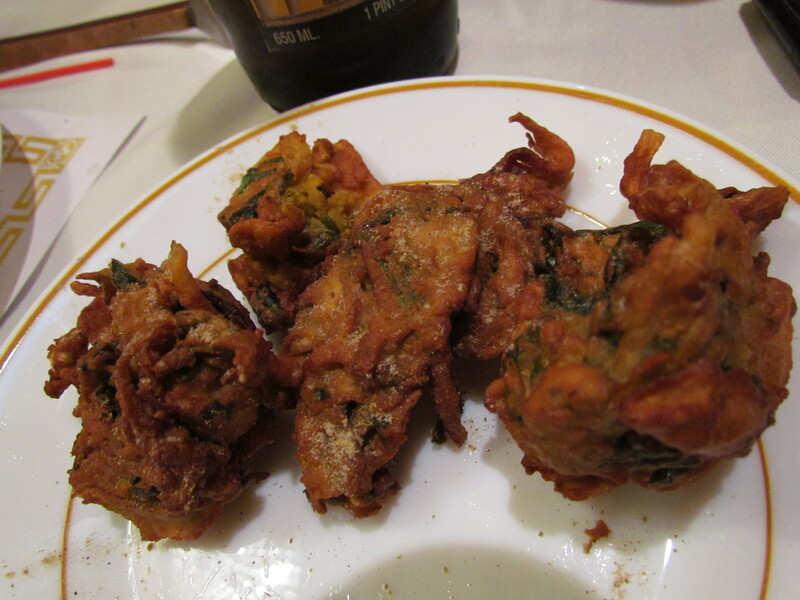 For starter we had pyaz pakoras & besan pakoras. They were just ok. The taste of pakoras sold by local thelawalas in Delhi / Kolkata is any day far better than the ones served at Indian Delhi Palace. 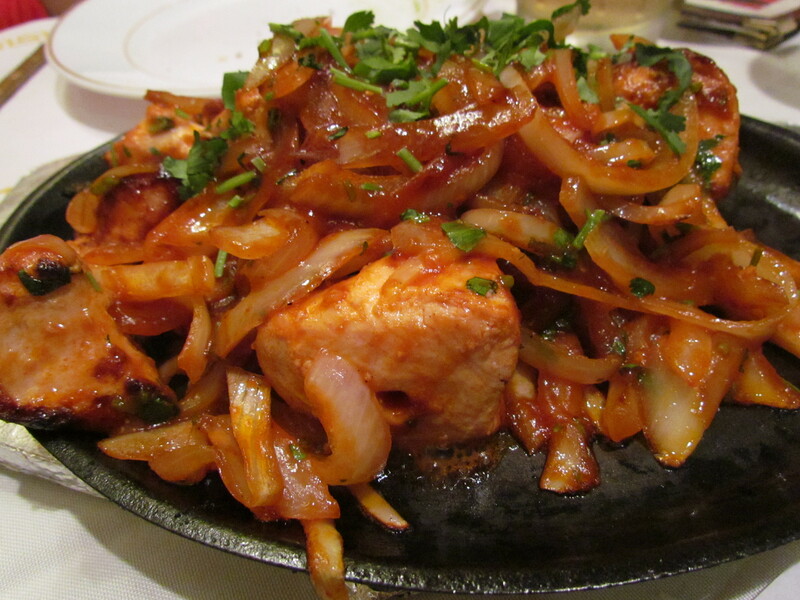 Tandoori Fish – ‘Fish chunks with skin’ tandoored & sauteed with fat slices of onion & tomato ketchup!!!! The pieces were flaky & dry. Taste was good but texture was a disaster. Leave the King of allTandoori Fish ‘Makhan Fish’ of Amritsar, or the superb Old Gurgaon streetfood joint – Pappu fish, the fish at India Delhi Palace was just too substandard. I cannot think of anyone to compare this with. Garlic Chicken kababs were oversized pieces of chicken, just short of the size of a tennis ball, tandoored & sauteed with fat slices of onion & tomato ketchup again!!!! The pieces of chicken were fibrous, quite hard & dry. Taste was chatpata but I felt like I was eating at the hands of an 18 year old who has cooked for the first time in his life. Such horrible food in a restaurant – cud not believe it. My tastebuds were screaming out to me ‘what wrong did we do that u r punishing us this way?’. 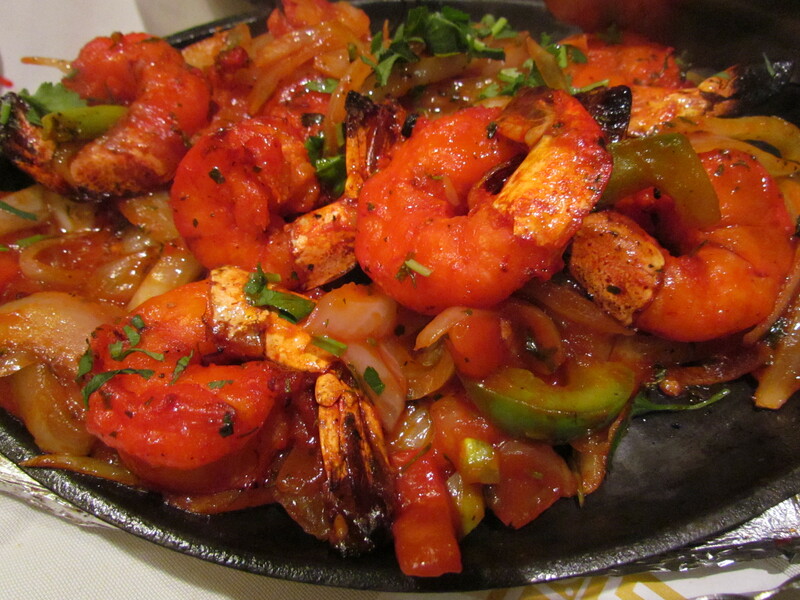 Tandoori Prawns – Prawns tandoored & sauteed with fat slices of onion & tomato ketchup!!!! The orangish red color was so disgusting to look at!!!! 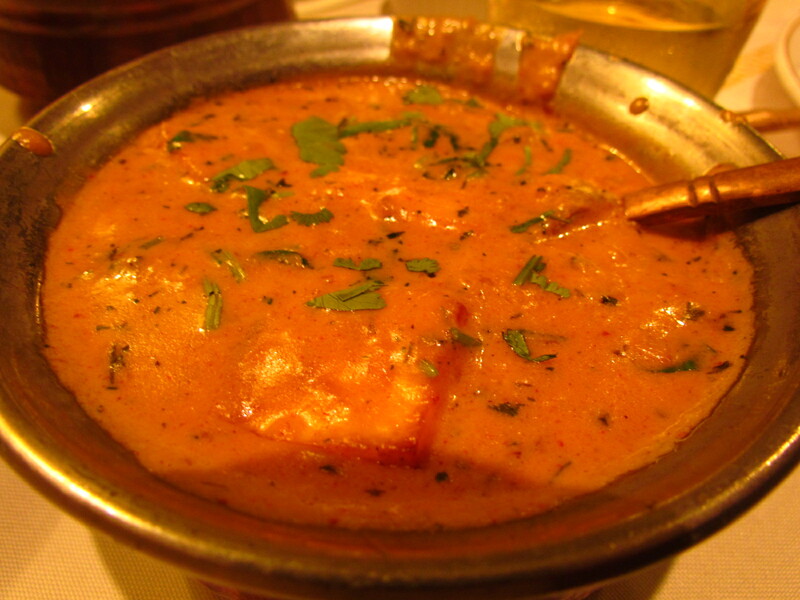 For main course we had Shahi Paneer – tasted good but not great. U get much better Shahi Paneer at the likes of National Restaurant, Connaught Place, Delhi / Om sweets Gurgaon etc at several times cheaper prices. 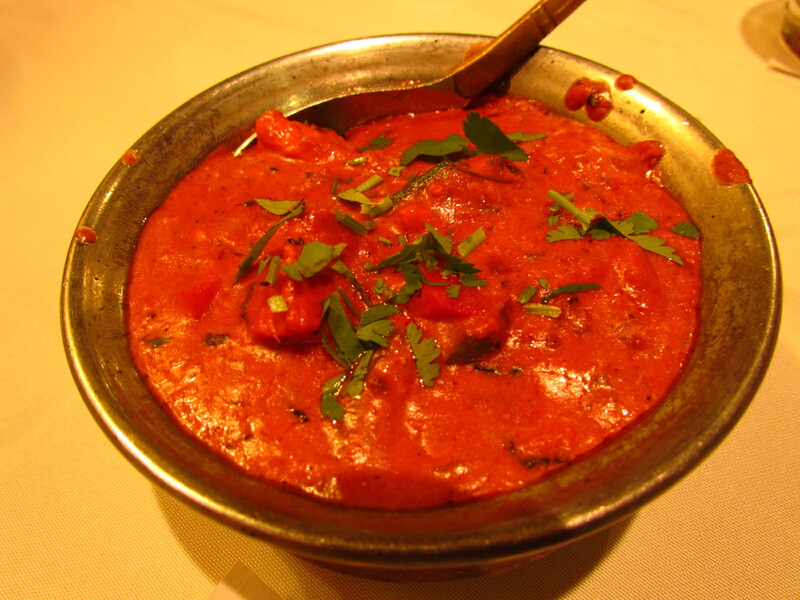 The kaali daal was ok.
Chicken Tikka Masala seemed to give that fiery red look due to generous addition of a lot of food color. Gravy tasted good. However, the Chicken Tikka Masala cooked at British Airways Kitchen in London & served in the flight from London to Phoenix was at least 5 times better than this. For dessert we had Gulab Jamuns – it is difficult to get good gulab jamuns these days in Delhi as well. 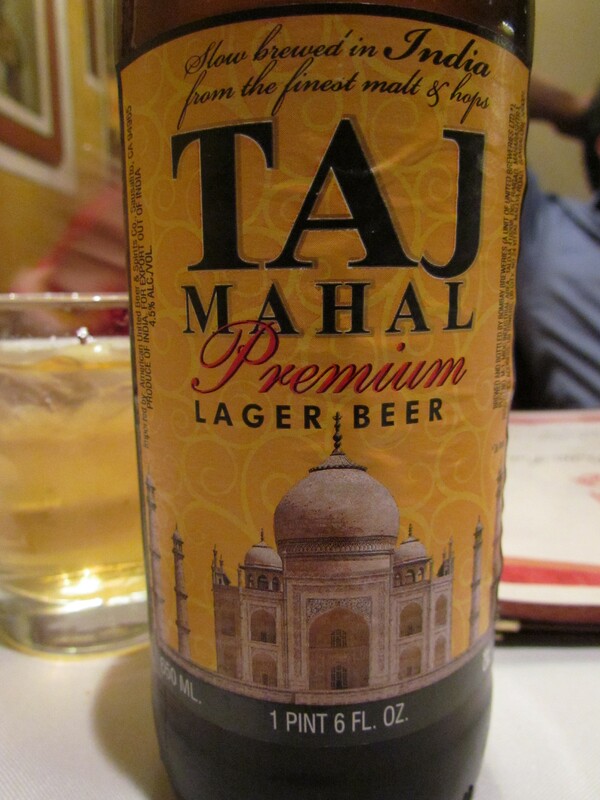 The one served at Indian Delhi Palace was ok.
We washed this down with an Indian beer named Taj that is made in India by United Breweries & sold only in the US. I am no beer expert but this one was not bad. Overall – Lord save the guests (specially Indian Foodie Guests). American Guests might just like it.